I am slightly succulent obsessed. This is one of the many projects I have going on right now that deal with succulents. The reason why I love them so much is you don't need a green thumb (phew! the pressure is off!) they are very hard to kill and need very little work. Which is good for me, because I seem to kill anything that grows! This is an easy-peasy project for you to make a low-maintenance garden for your home. Enjoy your little (practically no maintenance) garden! 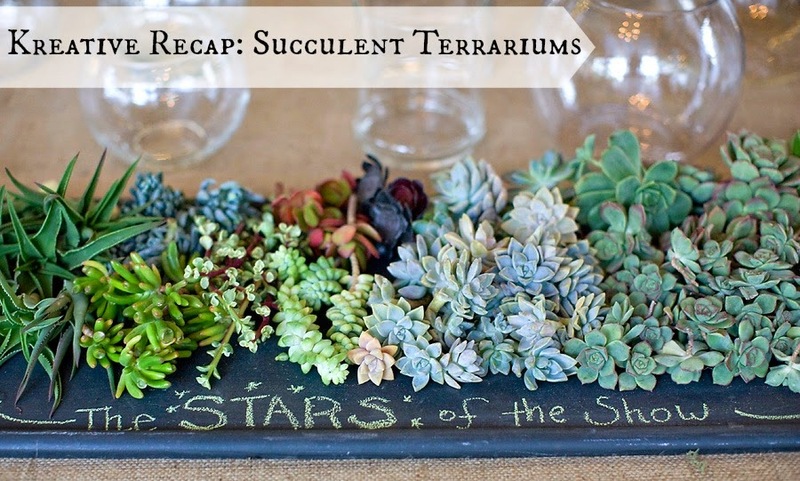 Want even more terrarium inspiration?!!! 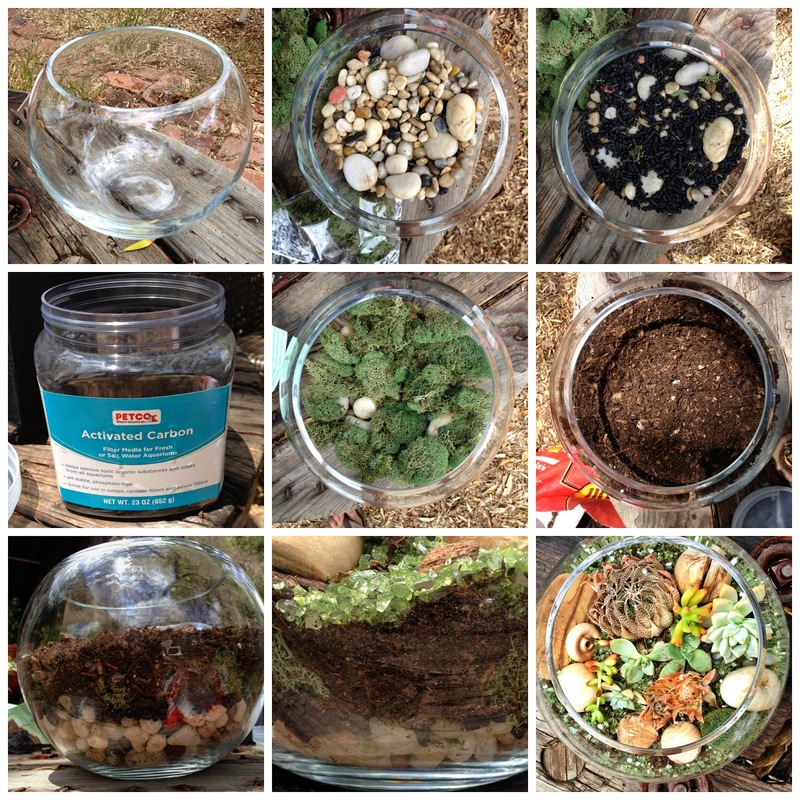 Come check out what 15+ ladies did when they got to make their own Terrariums at Kreative! Click Here. I think Cristina and I were separated at birth - except she's way cooler :))) Speaking of cool... I LOVE this idea - that one is beautiful can you just send me yours (aka I'm a lazy crafter). Thanks Cassie - I totally want to try it, I'll be sure to post if I do. fyi... also pinned!! hahaha...oh I hope you do it, can't wait to see yours! thanks for pinning! Okay... 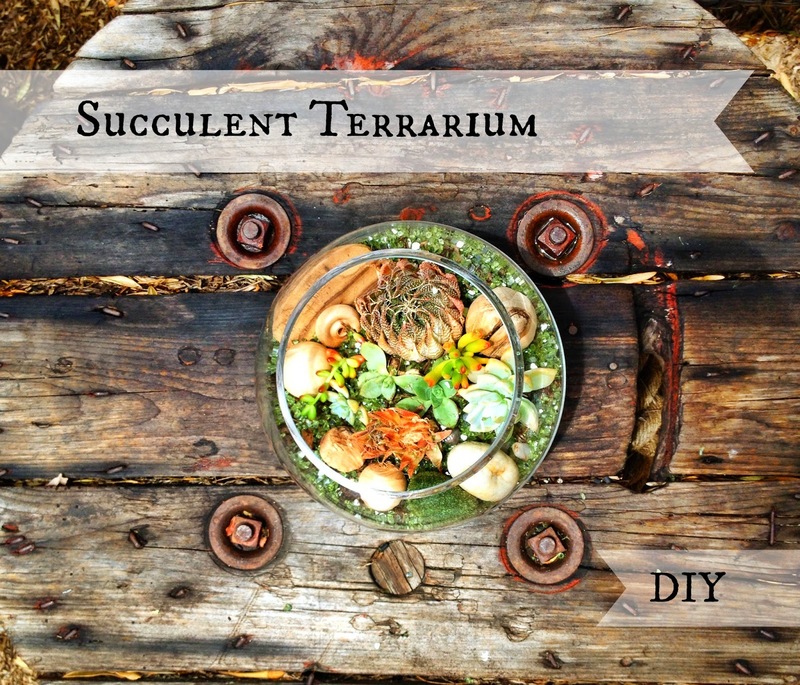 I just need some charcoal and I'm set to make one of these cool terrariums! Thanks so much for sharing at Show-Licious Craft & Recipe Party! Thank you for posting about this, I have been wanting to try this but haven't really known where to start! I am so glad Lauren! Hope it turns out wonderful! This is beautiful! Terrariums are the best! This turned out gorgeous! I love terrariums and succulents. You know how bad I want to do a succulent planter. I never do! You have inspired me. Now I need to get to it! So cute, Cassie! Thanks for linking up to The DIY'ers! This is SO pretty! Would this be okay to do in the winter, or are succulents not in season?